This year’s AIA Convention in Philadelphia provided an opportunity to revisit Reading Terminal Market, as well as check out the nation’s oldest continuously operating farmer’s market in Lancaster, PA.
Reading Terminal Market opened the doors of its present location in 1892, consolidating two previously existing indoor markets. The market – which in the past has housed as many as 380 farmers and merchants – is organized as an indoor urban grid of streets and avenues. Over the years, stall sizes have increased and a significant area is now dedicated seating for customers purchasing the prepared food provided by many vendors. There are relatively few vegetable and fruit merchants, but an abundance of butchers, poultry purveyors, cheese mongers, and fish stalls. The market is also well known for its Amish vendors. Visiting multiple times through the course of the Convention, I found Reading to be an ever-vibrant hub of activity, frequented by locals and visitors alike. On one afternoon I enjoyed a quick lunch at Tommy DiNic’s, where we were fortunate to grab stools amidst a line encompassing the perimeter of the stall. From this vantage point I was able to admire the extraordinary efficiency of this endlessly-besieged operation, while simultaneously savoring a delicious brisket sandwich. 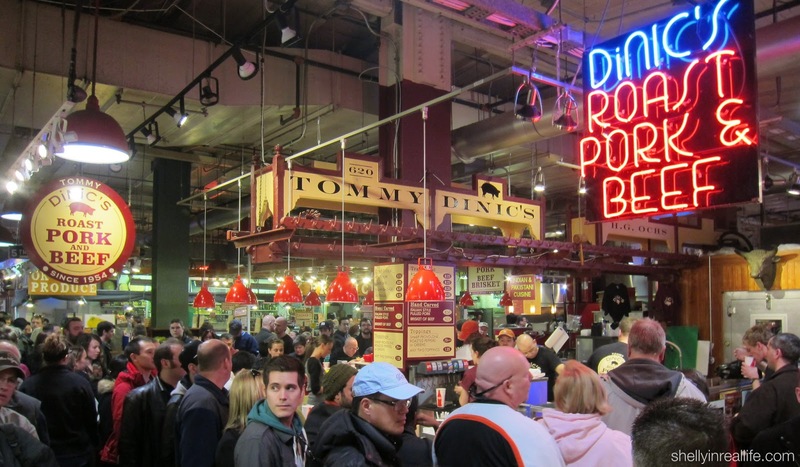 Reading Terminal Market is experienced as a tight, bustling hive of activity: a microcosm of a major city. There is little opportunity to stand back and take in the market; rather, it is a constant cinematic unfolding of sights, sounds, and smells. Signage takes on an outsized importance in this one-story space – the signs become the market’s monuments. The Lancaster Central Market – which until 2005 was the oldest municipally-operated market in the United States – is now operated as a non-profit organization. The market traces its origins to a charter of King George II in 1742, although the site was used as early as 1730 for this purpose. Today, it occupies a Richardsonian Romanesque building designed by James H. Warner and built in 1889. The building is a vast shed formed by a grid of columns supporting a hipped roof, strengthened by steel trusses. The building is less than half the size of Reading, and its spatial character creates an entirely different feel. 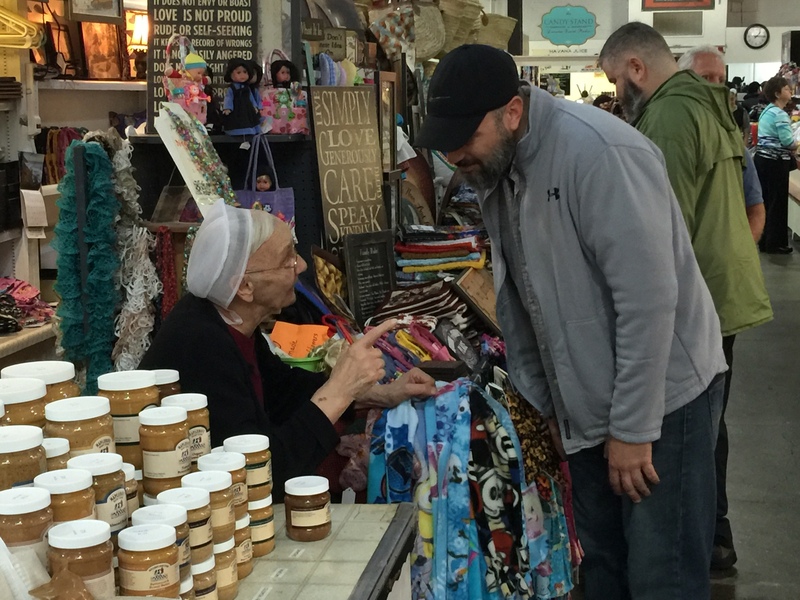 While its merchants reflect the diversity of tenants at Reading, here there is – among others – an African food merchant along with Cuban vendors and a sizable Amish contingent. The difference between these two markets seems to stem from two fundamental differences – one operational, one architectural. 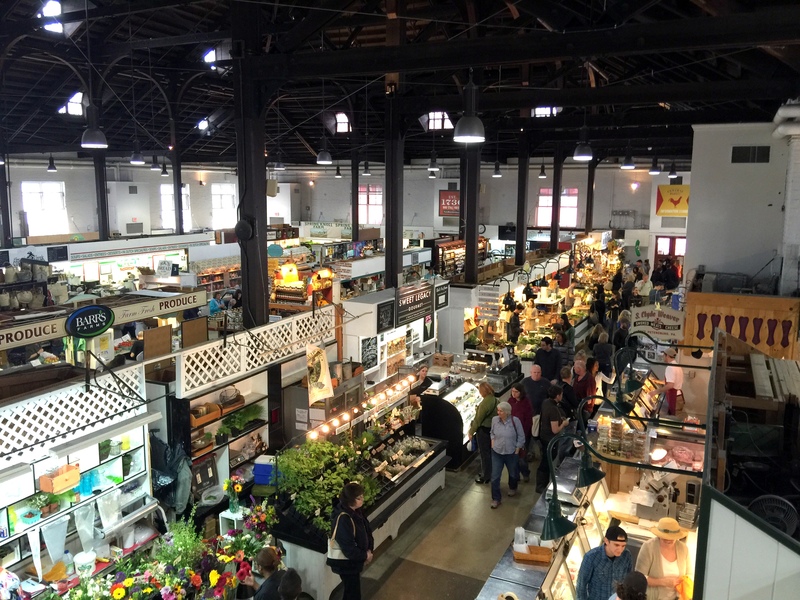 The first is that Lancaster Central Market is a 3-day operation, open only on Tuesday, Friday, and Saturday, and consequently sellers are predominately merchants with other businesses. The stalls are outposts of farms, coffee roasters and bakeries, rather than the individual businesses one sees at Reading. As for architectural character, Lancaster’s soaring ceiling departs from the bustling anonymity of a large city, instead uniting a community of members under one roof. On the Saturday that I visited the sense of familiarity between merchants was evident, as was the rapport between merchants and customers. This is a market that does not have to live at a metropolitan pace. Instead, many stalls seem to be family enterprises with a diversity of ages behind the counter. One can feel the traditions being passed from generation to generation at Lancaster. The position of the two markets within their cities is also of interest. Lancaster’s developed off the city’s main intersection behind the former City Hall. It is at once at the center of things and yet tucked away. 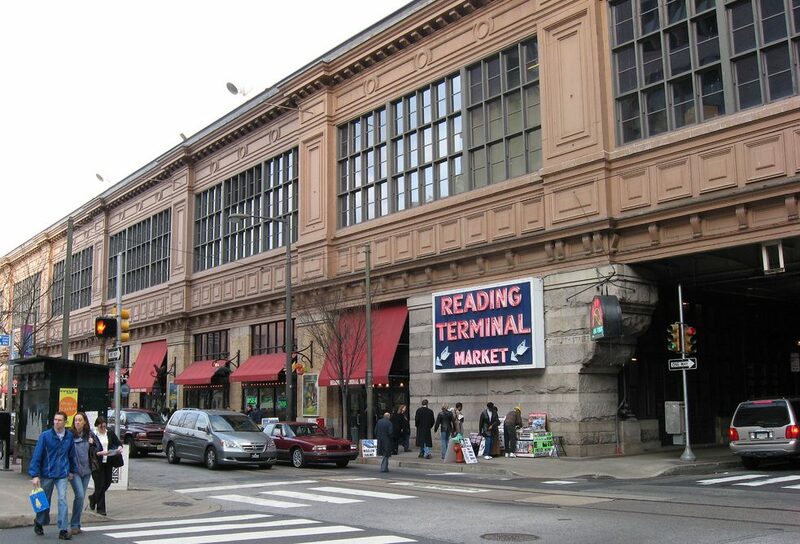 In Philadelphia, Reading Terminal’s location is the natural result of the railroad’s intrusion into the city – also in a sense logically tucked away in its base. Both markets are joyous wandering places to visit and to study how we engage in the most basic of human endeavors: shopping for food and enjoying it.